Last week, I wrote about Big O Notation in Apex and how having a O(n) was a perfectly acceptable solution for any Apex problem. However, trying to avoid having to go through nested for loops is often a tricky proposition when you have to process so much data in a single SOQL query. Probably much to the displeasure of my co-workers, I like to utilize those series of for loops to build up complicated data structures. These structures organize the data in a way that is easy to access later on in my code. And the one data structure that I use the most often is the map of lists. The map of lists comes up whenever I need to have a list of records “grouped by” a particular value. This is very common in Salesforce as it matches up the parent-child data model created by lookup relationships. 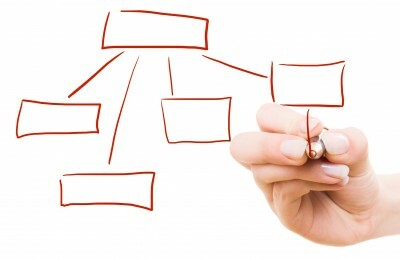 By establishing a map of lists, you are able to organize a list of child records by their parent records. I will throw out the hypothetical example of rolling up the last names of all Contacts for an Account into a custom field on Account. We want to trigger to fire off on Contact insert, update, or delete. How would we be able to access the Name field on the Account object that corresponds to the AccountID on Contact? First, we will explore the incorrect route: the nested for loop. Note that each Contact can only belong to one Account, however, we have to search through every Account just to find the correct one. If we assume that the sample size of Accounts is n and the sample size of Contacts is also n, then this evaluates to O(n²). Initialize a map of lists variable. Retrieve the list from your map with the key on the record. If list does not exist, initialize a new list and put it into map by key. So now we will rewrite our code to define lists of Contacts grouped by their AccountIDs and then use this map to roll up the names. Yes, there is a nested for loop in this example as well, but does this code also going to evaluate to O(n²)? The answer is no. In the first for loop, we divided our Contacts into groups based on AccountID, so each Contact will only belong to one group. If we split 5 Contacts into one group of 3 Contacts and another group of 2, we still only have 5 Contacts in total. To evaluate, the outer loop consists of just the Accounts, so its runtime is O(a). The inner loop is Contacts divided into Accounts, so it is O(c/a). When you multiply (a * (c/a)), you get just O(c), which is linear. This is just a basic example, but it illustrates how the map of lists can be used to avoid the O(n²) runtime. So when you run into a complicated problem, try to play around with complicated data structures to help you along.